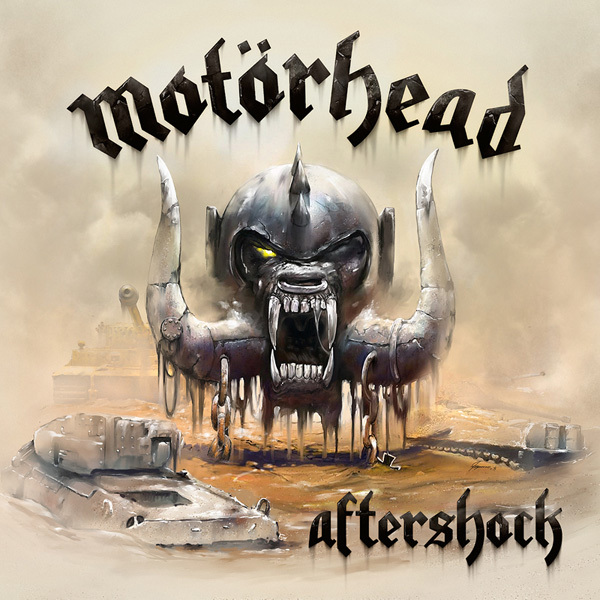 On October 22nd, Motörhead will deliver their 21st studio album, an enormous and prophetic Aftershock. Recorded at NRG Studios in North Hollywood, it is a true leveler, a crushing confirmation of everything Motörhead stands for, marching from the dust storm to deliver 14 belting statements which see Motörhead in perhaps their best writing form for years. 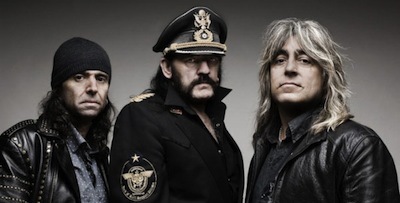 There’s swagger, there’s punch, there’s speed and there’s dirty filthy grooves, Lemmy Kilmister, Phil Campbell and Mikkey Dee showing clearly that Motörhead is not simply a band, it’s a genre. That genre, more than ever, resonates with hearty independence and swashbuckle. Whether it’s Heartbreaker throwing hooks and riffs into your head, the double-kick concussiveness of Paralyzed with Campbell’s fuelled attack, or the thunderous ride-off-the-Rickenbacker Motörcharge of Going To Mexico, Aftershock takes gleeful twists and turns which re-announce the Motörlegend. There’s the smokey biker bar blues in the shape of Dust And Glass, Lemmy’s late-night vocals evoking last-call and melancholy, the pogo-powered punk-spiked stab of Queen Of The Damned and the deliciously steamy, humid mournful Lost Woman Blues which midway through decides to kick over the stool and stomp out the saloon door. For more information, visit imotorhead.com. finally some information worth reading. glad to hear phil say it has a lot of variation. I think the last few albums have not had enough dynamic from track to track. I can’t wait for this cd! Another one from one of my favorites. No doubt it will piss off most old compact car drivers I sit next to a red lights that have an all “boom, boom,” bottom end only stereo costing more than the owners $600 car. I can’t wait to drown them. Love the cover, that version of Snag worthy of a tattoo.